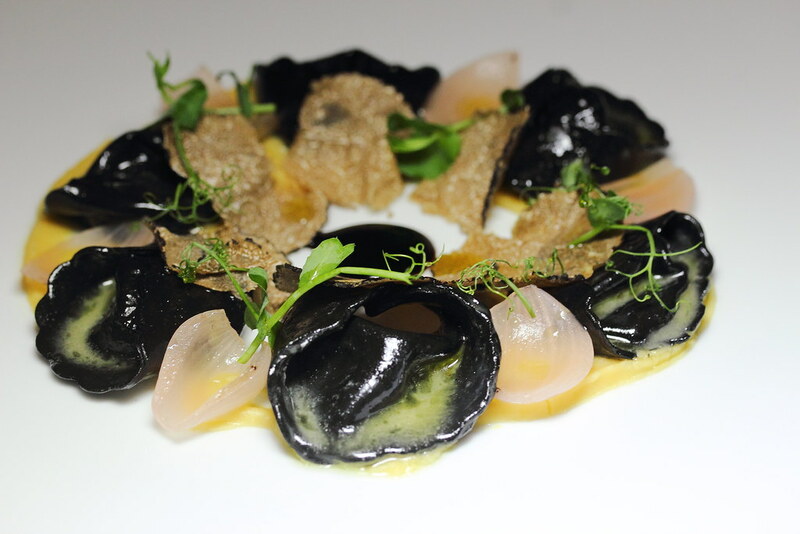 Sitting on the rooftop floor of Hilton Hotel Singapore is an award winning Italian restaurant, il Cielo, lead by Italian Chef Riccardo Catarsi, a new menu has been crafted to create a sensorial dining experience for diners. Same as Opus, il Cielo has been awarded with Marine Stewardship Council (MSC)'s Chain of Custody certification. MSC certified means sustainably caught seafood sources and dishes prepared with such environmentally ingredients can be identified by the eco-label in the menu. Right at the top on 24th storey with city skylines in full view, just feeling the evening breeze against my face was rejuvenating. 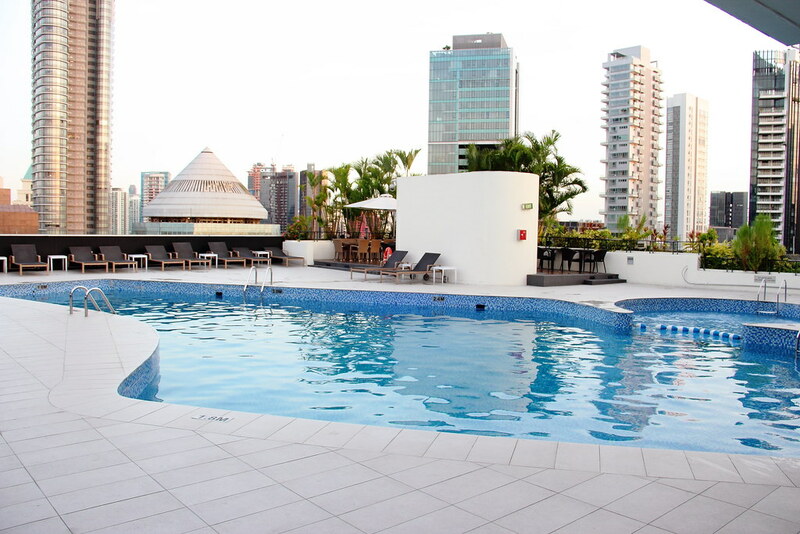 As the restaurant opens up to the pool, it has that relaxing charm of a rooftop bar without compromising its elegance. 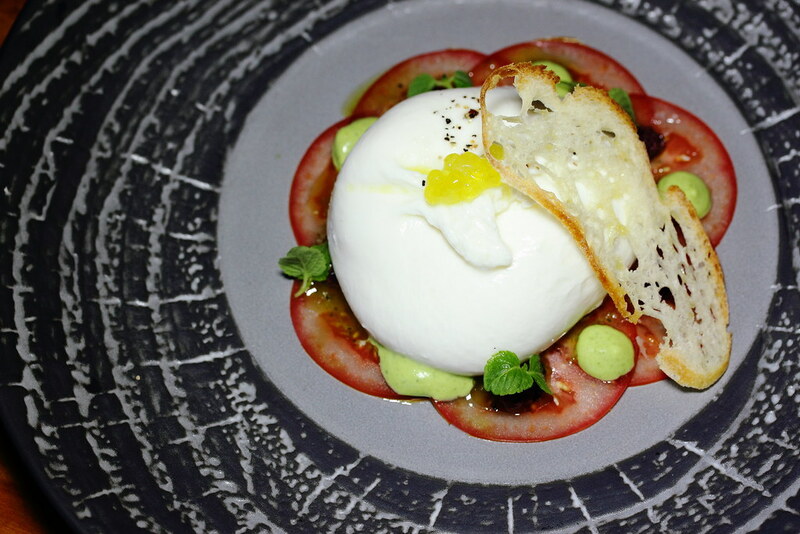 Our starter was Buffalo Milk Burratina ($25) that sits like a lady (a rather plump one) on a layer of marinated tomato carpaccio, basil cream & olives. The tangy sweetness from the tomato and the mild peppery flavour of the basil gave the dish just the right punch without overwhelming the fresh milkiness of the pillowy cheese. One of the new MSC dish is the Hokkaido scallop ($28), adorned with roasted mushrooms, pine nuts and bottarga mayonnaise. If the burratina is a young plump princess, this to me is like a queen. It reminded me of a Japanese dish I once had over at Mikuni at Fairmont but instead of pairing it with its ocean relatives, it was being placed in an earthy pasture of roasted mushrooms, truffles and pine nuts. The truffles appeared to be just ornamental, what really hyped up the taste is the bottarga mayonnaise. Bottarga is an exquisite cured fish roe and when mixed with mayonnaise, it was like an Italian-born Mentaiko sauce. 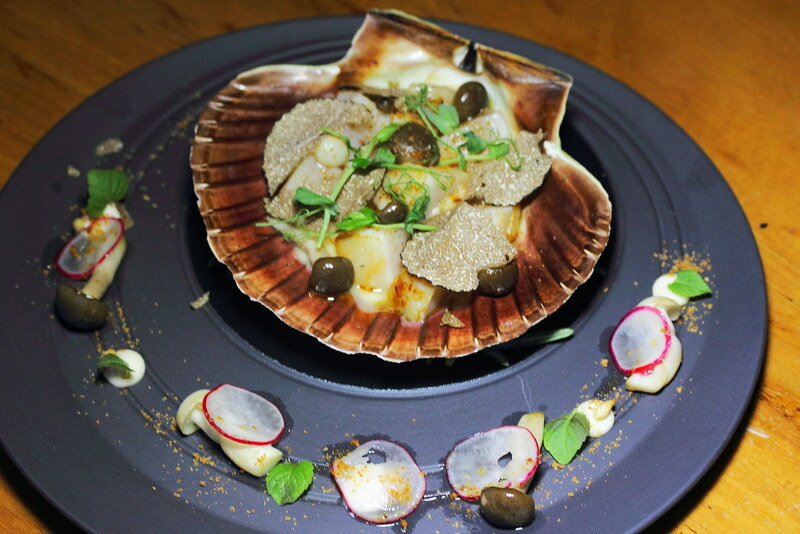 Savoury and tangy, it woke up my tastebuds for the mellow scallop. Pumpkin Charcoal Ravioli ($24) with chickpeas cream, red onion & Modena balsamico. This is a black beauty. The black petal was a thin pasta pouch that unveils a puree of golden pumpkin which is in season back in Chef Riccardo's hometown. This enigmatic looking dish has a harmonizing sweetness, balanced with a tartness lent by pickled red onion and Modena balsamico. Should Chef turns to using the more common squid ink for the aesthetic, the flavour would have been completely off sync with the overall feel of the dish. 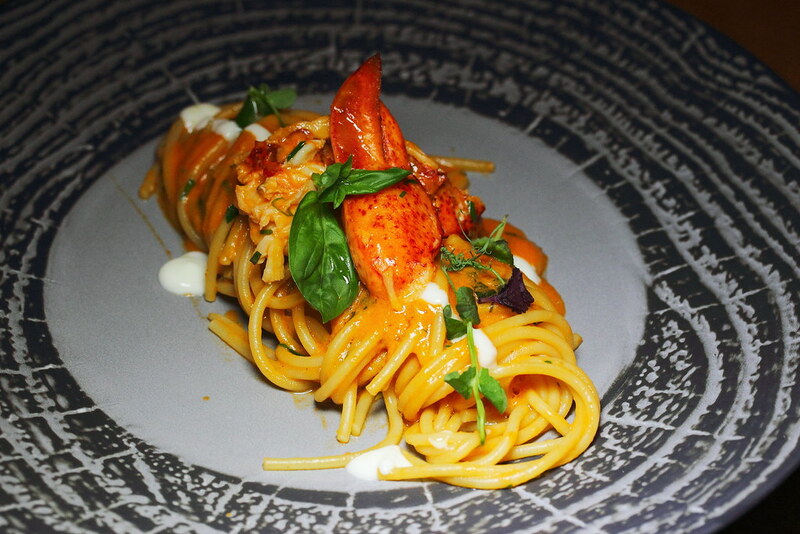 The Spaghetti with Maine Lobster ($39) may look stiff but each strand was surprisingly well flavoured and al dente. The tomato sauce had a light creamy body and embedded within is aromatic Italian basil and savoury bottarga, which tickled my nose and taste buds as I took in the pasta. When the maine lobster was so supple and sweet, it would have been a huge letdown if the pasta was not executed to such excellency. 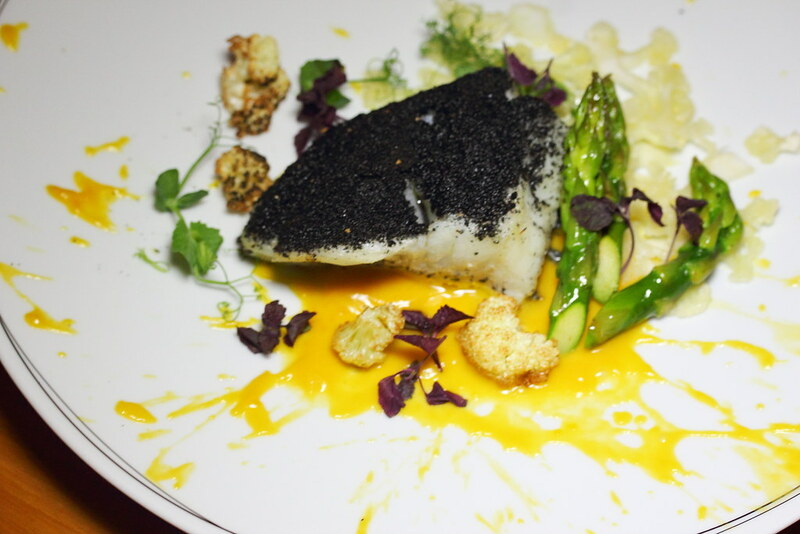 The charcoal bread dust on top brought an unexpected flavour to the buttery sweet Toothfish ($45). The roasted pumpkin cream, with an inherent sweetness, was punctuated with earthiness and charred flavour from the grilled asparagus and cauliflower. A crowd-pleasing dish. 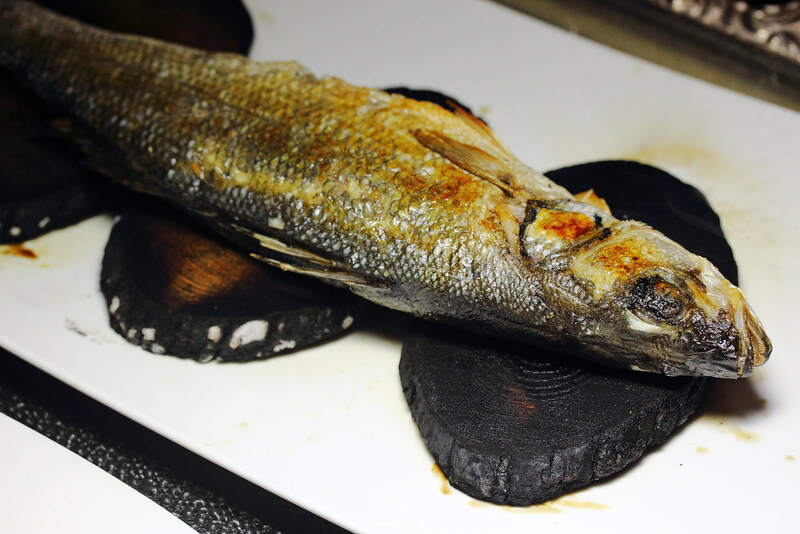 Whole Seabass ($68) roasted on olive wood The whole seabass was presented to us in sizzling heat on olive wood. As spectacular as it may be, it didn't manage to delight me as much as the rest. With its skin removed, I thought much of its flavour was lost. Not known to many, Chef has a solid foundation in dessert making. Perhaps, his appreciation for beauty comes from there, where he got the inspirations for creating all the ascetically pleasing dishes since the start of the evening. I think this is the first time that I have had such pretty desserts in an Italian restaurant. Chef's gelatos is a must try. 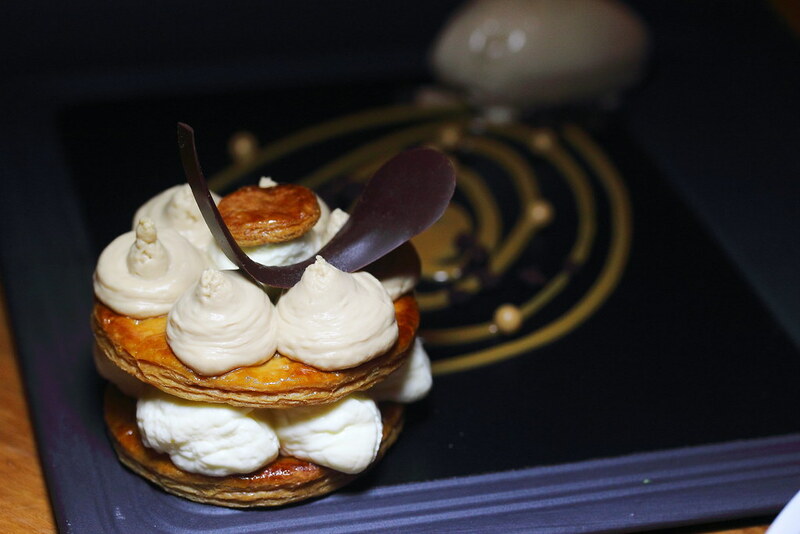 Tiramisu Mille Foglie ($14) is coffee centric, like eating a solidified vanilla coffee frappacino. The feeling I had when I saw Composizione Di Frafole ($14.00) is like stepping into a strawberry field. 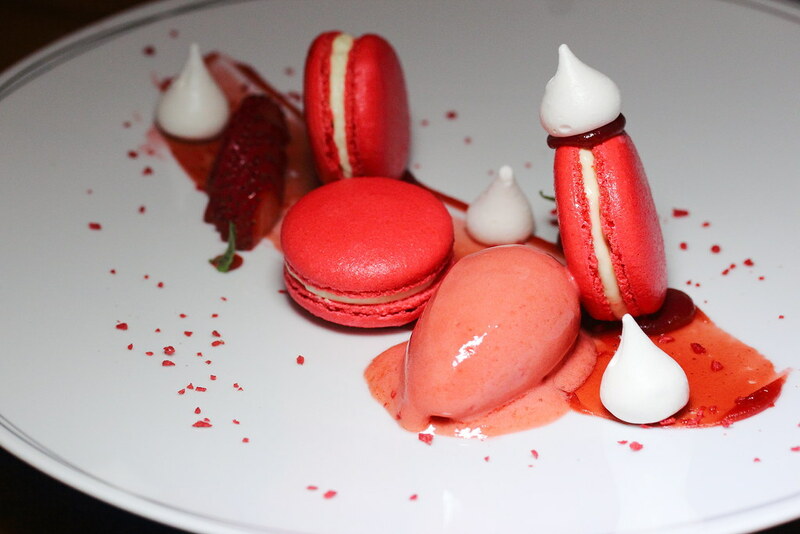 Strawberries in different forms, textures, sweetness and tartness. 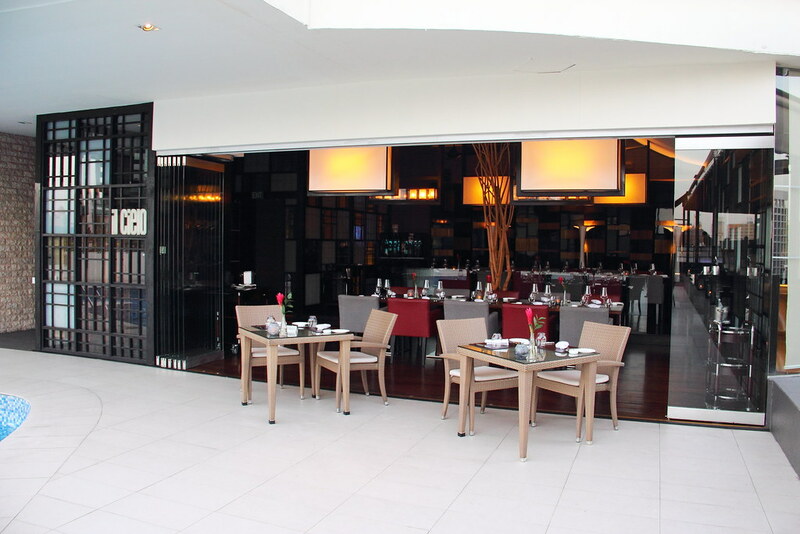 Drop by at il Ceilo, and discover its quiet beauty amidst the urban traffic. Not just dinner, lunch sets are available here as well. On Thursday to Saturday, enjoy live acoustic music over at the Sky Bar, just right next to it.